Do you prefer to follow a plan without having to make any choices? Or, would you like to continue to eat foods you enjoy and need help with portion control? If so, Saint Francis Healthcare System’s The Healthy Weigh, which involves suggested meal plans and meal replacements like shakes and bars, may be the best choice for you. Would you like to try cutting back on some foods, but want to focus mainly on exercise? 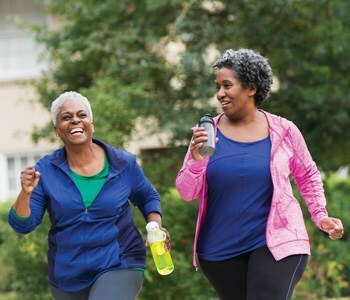 “Talk to your doctor about the best exercise plan for you, especially if you are not already active,” says Laura E. Glueck, DO, family practice physician, Saint Francis Medical Partner. Is your BMI over 35 and find dieting and exercise unsuccessful? If so, you may be a candidate for bariatric surgery. Weight Loss Solutions, Saint Francis’ bariatric surgery center, provides possibilities to those who struggle with ongoing weight problems. To learn more, call 573-331-3996 or visit the Saint Francis Weight Loss Options webpage.